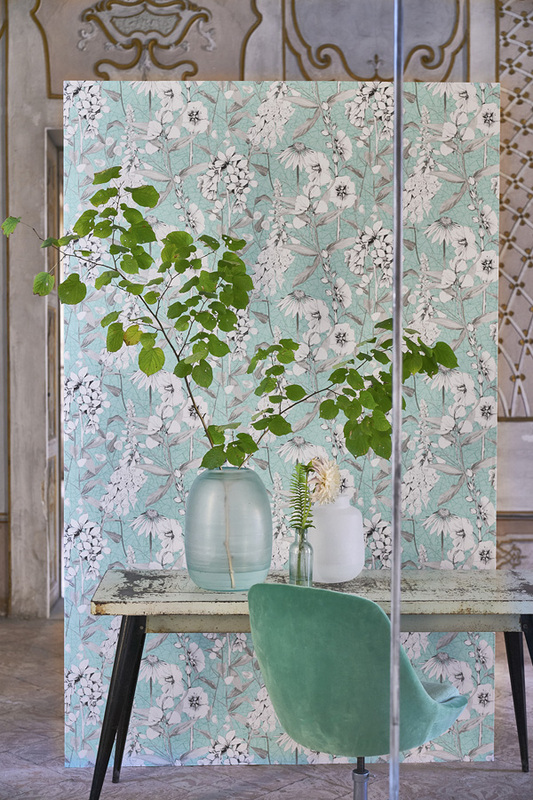 A wallpaper to complement the printed fabric design of the same name – a plethora of exquisitely drawn botanicals, florals and foilage are shaded to stunning effect and are set against a graphic, geometric background for a unique, tailored feel – a layer of texture. This stylish wallpaper is printed onto a mix of smooth metallic and matt non-woven grounds for ease of hanging in any interior setting. Available in seven light reflecting colourways.